Sonam Gyatso Sherpa has announced to contest the upcoming Assembly election in Sikkim from Daramdin constituency in West Sikkim as an independent candidate. He stated that it was a compulsion for him to come into the electoral politics as the political parties in the State have failed to give an efficient Sherpa candidate from Daramdin constituency. He has been associated with different social organizations and has been raising different issues of the State in different platforms. The 34-year-old Sherpa originally hails from Padamchen in East Sikkim and presently residing in Tikjuk in West Sikkim. He was the former chief convener of Sherpa Protection Board and also former president of Adhoc Teachers Association and is presently associated with different social organizations. 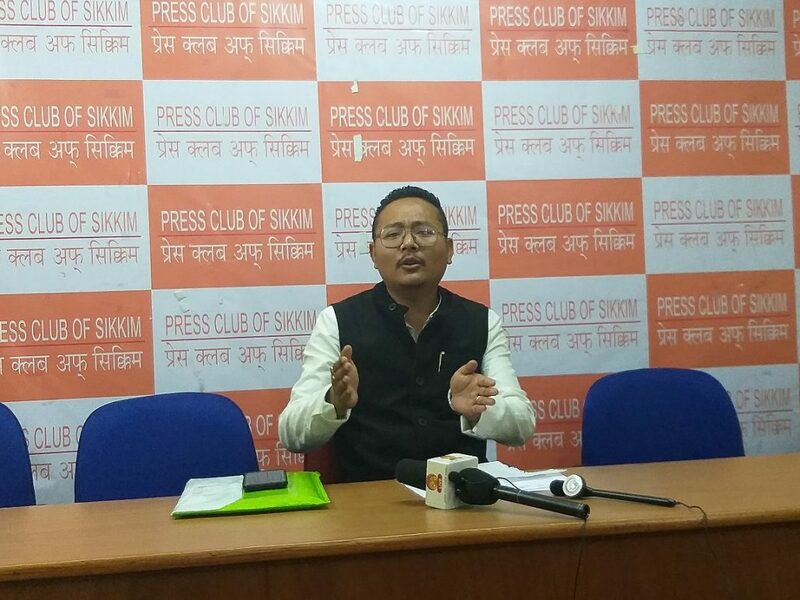 Addressing a press conference in Gangtok on Wednesday, Sherpa announced to contest the upcoming Assembly election in the State as an independent candidate from Daramdin constituency. He further added that the people of the constituency have been facing different problems as their representative never speaks in the Assembly for the area and has always been working as a puppet. “We have still no hope from candidates given by the political parties in the area. We need that Sherpa candidate who can speak in the Assembly for its people and rights. As I have been speaking for my people and their right and raising issues of the State, so I have decided to contest the election to work more efficiently for the people,” he said.